The cost of visiting Costa Rica as a tourist has increased due to large increase in tourism in the past 4 years. Costa Rica, a country of only 4 million people, had over 2 million tourists in 2010. Car rentals, hotel rentals and other touristy activities have risen in price but thankfully living there is still cheap by North American standards. The larger expenses in life, property taxes, health care and insurance are still amazingly cheap by US standards but traveling as a tourist is not so cheap. Costa Rica is quite rugged and what looks like an easy ride on the map may take hours longer than expected. 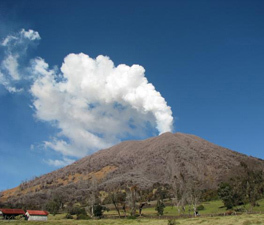 There are four mountain ranges in Costa Rica and peaks to 10,000 feet are common. Roads aren’t the best and driving at night is not recommended since you may come across cattle, cars without lights or sudden changes in road conditions you may not have anticipated.